Today, Cisco announced that it was closing down it's FLIP camera unit. Cisco bought the company in 2009 for $540 million dollars. Less than two years later, FLIP is no more. 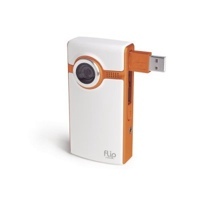 I still remember when I saw my first FLIP video camera. I was so impressed that I bought one that day, and then bought one for each of my employees for the holidays. When I started using my FLIP people couldn't help but talk about it. It did the nearly impossible - it was cool and practical. Then Cisco bought them, in the pursuit of "diversifying" its revenue streams, with consumer oriented products. No wonder that analysts often refer to diversification strategies as deworsification ones. The acquisition was doomed from the start, as it violates the cardinal rule of focus. You can delight one type of customer, but you can't delight them all. Cisco was a great company when they focused on their core business. Then they made a critical mistake that tempts companies of all shapes, sizes and industries. They began to believe they could make anything successful and began focus on what was good for them, rather than focusing on value creation. I can't promise that FLIP would have remained successful had they remained independent (and maintained their focus), but I sure would have liked to see them try.